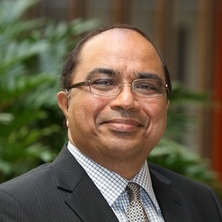 Ravi Pappu is an Associate Professor of Marketing at the University of Queensland Business School. Ravi received a PhD in marketing from University of New England (UNE), Australia. His PhD research demonstrated how country of origin can influence brand equity. These results were published in the Journal of International Business Studies and the European Journal of Marketing. Prior to UNE, Ravi graduated with an MBA and a PG Diploma in marketing, both awarded with Distinction, from the University of Waikato, New Zealand. Earlier, he received a Bachelor’s degree in Mechanical engineering from JNTU, Anantapur in India, awarded with First Class and Distinction. Further information about Ravi is available at the following links. Ravi's current research focuses on modelling consumer decision making in relation to different types of brands (e.g. manufacturers, retailers, nonprofits and countries). He is also interested in understanding how marketing communications (e.g. advertising, celebrity endorsement, sponsorship) can shape consumer attitudes and brand perceptions. Ravi was the lead Chief Investigator of an Australian Research Council Linkage project (2009 - 2012) (with Bettina Cornwell), supported by the Australian Red Cross Blood Service. Major outcomes of this research so far include a new method for mapping consumer brand association networks and a model for explaining communication portfolios effects on the image and equity of non-profit brands. Ravi's research has also attracted several internal competitive grants from the University of New England and University of Queensland. As of 2019, Ravi teaches courses in quantitative research methods and applied statistics for honours and PhD students, and market research for postgraduate students. Ravi is available for research supervision in marketing. Following are some of the areas of his research interest. Ravi's previous research students have achieved publications in internationally recognised journals such as European Journal of Marketing and Journal of Business Research, and presented their work at prestegious international conferences (e.g., ANZMAC, AMA, AMS, WMC). How does innovativeness affect customer brand loyalty? Ravi (with Prof. Pascale Quester) developed a model to explain how being seen as innovative helps a brand in achieving brand loyalty from customers. The model also explains what role perceived quality plays in this. The model was empirically tested for three global consumer electronics brands in two product categories. Results of this research (Pappu and Quester 2016) are published in the European Journal of Marketing. This paper has been downloaded more than 10,000 times since publication (Emerald, 2018). This research would of interest to brands (e.g. businesses, nonprofit organizations, retailers, manufacturers, government departments) interested in understanding how to leverage their innovativeness to achieve outcomes such as brand loyalty. How does celebrity endorsement affect brand equity? Ravi (with his honours student Amanda Spry and Prof. Bettina Cornwell, University of Michigan, USA) demonstrated that celebrity endorsement can affect a brand's credibility and thereby its brand equity. These results were published in the European Journal of Marketing. This paper (Spry, Pappu & Cornwell, 2011) has been downloaded more than 55,000 times (Emerald, 2018). This is one of the two most cited papers published since 2011 in the European Journal of Marketing. The results of this research would be of interest to the Australian government, businesses and nonprofit organisations interested in understanding how advertising can be used to enhance their brand credibility and brand equity by using celebrities. Celebrities in various sectors (e.g. sports, film, tv) can understand how their endorsements can influence the credibility and image of endorsed brands. How does corporate sponsorship affect charities/nonprofit brands? Ravi (with Prof. Bettina Cornwell, University of Oregon, USA) developed a model to explain how corporate sponsorship affects the sponsored nonprofit brands. Part of the results of this research were published in the Journal of the Academy of Marketing Science (Pappu & Cornwell 2014) - one of the top marketing journals in the world. This research demonstrated that fit and similarity are conceptually distinct and shown that together they have an interactive effect on consumers' nonprofit evaluations. This research would be of interest to nonprofits and charities in their brand management decisions, advertising and in evaluating potential sponsors. The results would also be of interest to firms interested in offering sponsorship to charities and nonprofits. How to measure a country's brand value? Ravi (with Prof. Pascale Quester) developed a consumer-based method for measuring a country's brand equity. Brand equity of Australia's major major trading partners (USA, China and South Korea) was measured in two product categories (Consumer electronics and automobiles) in this study. The results were published in International Business Review (Pappu & Quester, 2010). This research would be of interest to the Australian government departments, industry groups and businesses interested in promoting Australian goods and services and Australia's competitiveness in international markets. How much is a retailer brand worth? Ravi (with Prof. Pascale Quester) developed a consumer-based method for measuring a retailer's brand value (Pappu & Quester, 2006a) and the results were published in the Journal of Retailing and consumer Services. The brand equity of major retailers, in the department store (David Jones, Myer and Target) and clothing store (Country Road, Fletcher Jones and Just Jeans) chains, were measured in this research. This research also demonstrated how customer satisfaction affects a retailer's brand equity (Pappu & Quester, 2006b) and how a retailer's brand equity varies by store category (Pappu & Quester, 2008). Results of these two studies were published in the Journal of Product and Brand Management. These two papers have been downloaded more than 23,000 times as of 2018. This research would of interest to Australian government, businesses and nonprofit organizations interested in understanding how to manage the brand equity of their retailing brands (e.g. health care, road safety, department stores, clothing stores). How much value do people attach with a brand name? Ravi (with Prof. Pascale Quester, University of Adelaide and Prof. Ray Cooksey, University of New England) developed an improved method, and a scale, for measuring brand equity - the value of a brand name - based on consumer perceptions. The brand equity of global consumer electronics brands (Sony, Toshiba and Hitachi) and automobile brands (Toyota, Mitsubishi and Suzuki) was measured in this research. The results appeared in the Journal of Product and Brand Management (Pappu, Quester & Cooksey, 2005). This is the most cited paper ever published in the Journal of Product and Brand Management and has been read more than 35,000 times as of 2018. This research would be of interest to organizations (e.g. Australian government, businesses, manufacturers, retailers and non-profits) interested in measuring, and managing the value of their brands. How does a country's image affect brand equity? This research demonstrates how a country's image affects the equity (value) of the brands coming from that country (Pappu, Quester & Cooksey, 2007). This was the first research study integrating the areas of brand equity and country image and the results were published in Journal of International Business Studies, considered to be a prestigious business journal in the international arena. This study also demonstrated how a brand's equity varies according to the brand's perceived country-of-origin (Pappu, Quester & Cooksey, 2006). These results were published in a quality international academic marketing journal, the European Journal of Marketing. The paper was downloaded more than 15,000 times since 2006 (Emerald, 2018). Results of this research would be of interest to the Australian government, industry groups and businesses interested in promoting, offering, managing Australian brands in international markets or foreign brands in the Australian market. Since 2006, Ravi's research papers have been read/downloaded more than 225,000 times (As of 2018). Consumer-based brand equity: Improving the measurement - empirical evidence is the most cited Journal of Product and Brand Management paper (Scopus, 2018) with more than 25,000 full-text downloads (Source: Emerald). Celebrity endorsement, brand credibility and brand equity is the most read European Journal of Marketing paper during 2014 -2016 with more than 55,000 full-text downloads since 2011(Emerald). It is also one of the two most cited EJM articles (top 1%) published since 2011. In the list of the top 50 articles published in the journal. Consumer-based brand equity and country-of-origin relationships: Some empirical evidence is one of the 10 most cited European Journal of Marketing articles (top 1%) published since 2006. In the list of the top 25 articles published in the journal. Country image and consumer-based brand equity: Relationships and implications for international marketing is in the top 5% of the most cited Journal of International Business Studies articles published since 2007. Does customer satisfaction lead to improved brand equity? An empirical examination of two categories of retail brands is one of the 10 most cited (top 1%) Journal of Product and Brand Management papers published since 2006. A consumer-based method for retailer equity measurement: Results of an empirical study is in the top 2% of the most cited Journal of Retailing and Consumer Services papers published since 2006. Chien, Cornwell & Pappu 2011 co-authored with his doctoral student M. Chien and T B Cornwell, is in the top 2% of the most cited Journal of Business Research papers published since 2011. Information has been compiled from Scopus, Emerald, ResearchGate, Science Direct and UQ eSpace. Journal Article: How does brand innovativeness affect brand loyalty? Examining the impact of country of origin on brand credibility. This project is in the area of marketing communications and examines the impact of celebrity endorsements on consumer brand evaluations. This project is in the area of brand management and involves understanding consumer brand credibility perceptions in the international context. This project is in the areas of brand management and marketing communications and examines the impact of corporate sponsorship on consumer brand evaluations. How does brand innovativeness affect brand loyalty? Pappu, Ravi S. (2005). Australian Consumers Product Category-Country Associations: Implications for big emerging markets. In Marketing strategies for emerging markets (pp. 293-302) New Delhi, India: Excel Books. A commentary on "conceptualising and measuring Consumer-Based Brand–Retailer–Channel Equity"
Pappu, Ravi and Quester, Pascale (2013). Brand innovativeness effects on quality, satisfaction and loyalty. In: Colin Campbell and Junzhao (Jonathan) Ma, Proceedings of The 16th Biennial World Marketing Congress. 16th Biennial World Marketing Congress, Melbourne, Australia, (786-786). 17-19 July 2013. Yu, Max and Pappu, Ravi (2013). Celebrity portfolio effects on consumer brand evaluations. In: Colin Campbell and Junzhao (Jonathan) Ma, Proceedings of The 16th Biennial World Marketing Congress. 16th Biennial World Marketing Congress, Melbourne, Australia, (759-759). 17-19 July 2013. Pappu, Ravi and Cornwell, T. Bettine (2012). Corporate sponsorship effects on nonprofit brand credibility and perceived quality. In: Richard Lee, Proceedings ANZMAC 2012. Australian and New Zealand Marketing Academy Conference (ANZMAC 2012), Adelaide, Australia, (1-7). 3-5 December 2012. Pappu, Ravi S. and Cornwell, T. Bettina (2012). The role of firm-nonprofit fit and similarity in social sponsorship communications. In: T. J. Arnold and L. K. Scheer, 2012 AMA Summer Educators' Conference Proceedings. Summer Marketing Educators' Conference 2012: Marketing in the Socially-Networked World: Challenges of Emerging, Stagnant & Resurgent Markets, Chicago, IL, United States, (103-104). 17-19 August 2012. Pappu, R. and Quester, Pascale (2005). Measuring Retailer Equity: An Empirical Study. In: Proceedings of International Conference on Retailing and Sourcing: Challenges and Opportunities. International Conference on Retailing and Sourcing, New Delhi, India, (21-26). 7-8 January 2005. Pappu, Ravi and Quester, Pascale Genevieve (2005). Store Satisfaction and Retailer Equity: Preliminary Results of An Empirical Study. In: Advances in global business research: Second AGBA World Congress Refereed Conference Proceedings. Academy for Global Business Advancement Conference, New Delhi, India, (141-146). 3-5 January 2005. This project examines consumer evaluations of retailers as brands. This project is in the area of international marketing and involves the examination of the value consumers attach with countries as brand names. This project involves the examination of consumer perceptions of brand innovativeness. Brisbane Times - Is the Gold Coast on to a winner? Does Australia need more casinos to boost tourism? UQBS News - Does brand innovation lead to customer loyalty? Momentum - Celebrity Sparkle: It’s brand gold!